In that right arm we trust. That might become the new motto of the San Francisco 49ers as they just signed quarterbackÂ Colin Kaepernick to a one hundred twenty six million dollar 6 year extension today. Drafted in the second round of the 2011 NFL draft out of Nevada,Â Kaepernick became Â the starting quarterback during the 2012 season when then starting quarterback Alex Smith was injured with a concussion against the St. Louis Rams on November 11th.Â Kaepernick led the 49ers to Superbowl XLVII that season where they suffered a heart breaking loss to the Baltimore Ravens. The six year extensionÂ Kaepernick signed today averages out to $21 million a year with $61 million of that money being guaranteed. While not the highest amount paid per year ever in the NFL, that title goes to Green Bay Packer quarterback Aaron Rodgers, the contract does include the largest guaranteed payout ever. 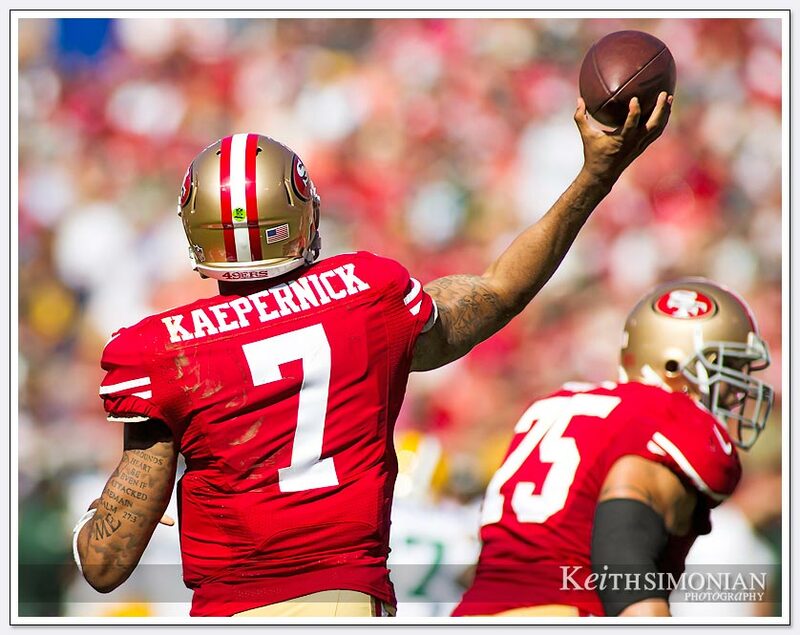 Colin Kaepernick’s right arm has become the future of the San Francisco 49ers. Well he is also pretty good with his legs as the photo below shows. 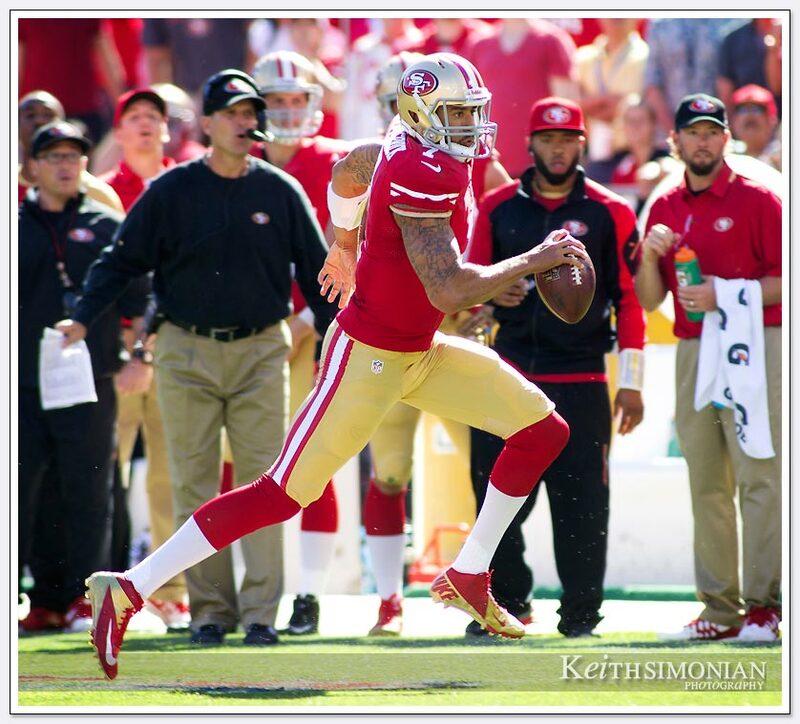 Colin KaepernickÂ runs down field with 49er head coach Jim Harbaugh on the sidelines hoping he gets out of bounds safely. Nice shot! Captured perfectly. Very high definition.